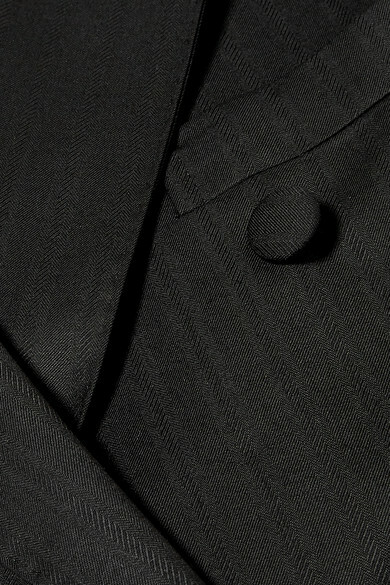 The husband and wife duo behind Giuliva Heritage Collection share a love of classic Neapolitan tailoring, and the brand was born out of co-founder Margherita's tendency to borrow her partner's clothes. 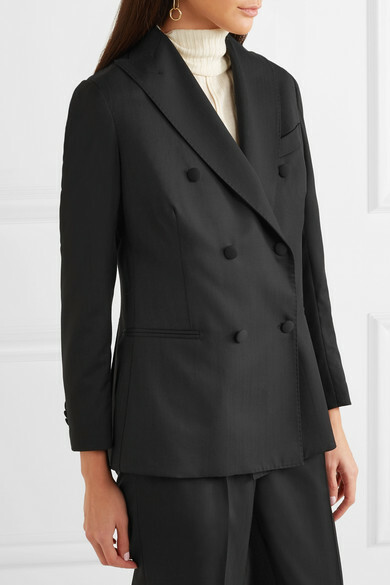 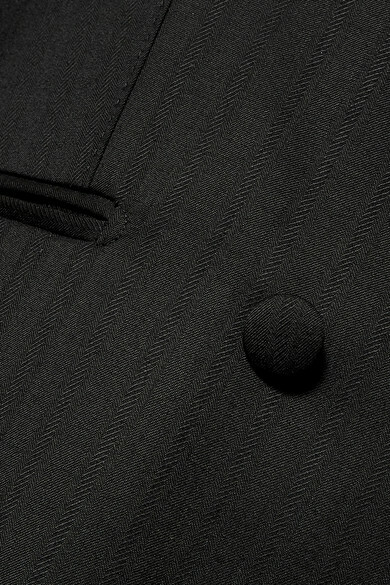 Made almost entirely by hand in Italy using traditional tools and techniques, this 'Cornelia' blazer is cut from black wool with a subtle sheen to it. 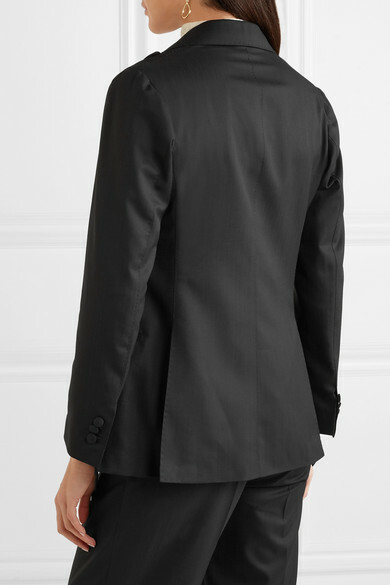 Usually the brand suggests leaving the bottom button open, but that's not the case with double-breasted styles. 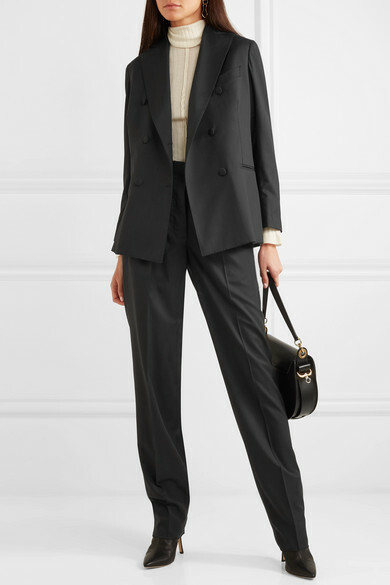 Shown here with: Giuliva Heritage Collection Pants, Chloé Sweater, Chloé Shoulder bag, The Row Boots, Anderson's Belt, Maria Black Earrings.